One for all those that are feeling a little out of sorts and off kilter. Cypress, orange, sage, fennel and neroli are combined in this absolutely divine blend. When your clients (or even you!) 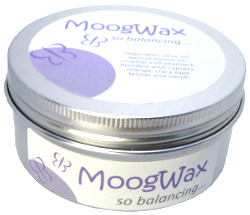 are feeling under the weather emotionally, this absolutely divine blend will soothe and balance. This blend contains a combination of cypress, clary sage and fennel which help to balance hormones and emotions. Added to this is luxurious neroli oil which is derived directly from crushed orange blossom and gently calms tempers and can de-stress even the most wound up people. Topped off with orange oil for that feeling of warm sunshine on your face, this blend balances, soothes, calms and uplifts. Absolutely heavenly at any time but especially great when your hormones or emotions are all over the place! Caution: Not for use during pregnancy or for children under 3 years of age.